Section 59 of the Constitution of Zimbabwe states that every person has the right to demonstrate and to present petitions, but these rights must be exercised peacefully. Of late, the Zimbabwe Republic Police and other organs of the State security apparatus have ruthlessly and unlawfully clamped down on peaceful demonstrations. On Monday, January 4,2016 in Harare, the Police unlawfully blocked a protest march that was organised by the Rural Teachers’ Union of Zimbabwe (RTUZ) to press government to urgently release civil servants’ December salaries. The MDC unreservedly condemns the high – handed and unlawful action by the Police in violently crushing a peaceful demonstration. It is apparent that the Zanu PF regime is afraid of the people of Zimbabwe. The regime is now paranoid as it is acutely aware of the fact that millions of Zimbabweans are living in abject poverty and destitution as a direct result of the regime’s misrule, unmitigated corruption and misgovernance. Typical of all dictatorial and fascist regimes, the Zanu PF government is determined to use brute force and violence in order to unconstitutionally stop Zimbabweans from exercising their constitutional right to stage peaceful demonstrations. Zimbabwe has now degenerated into a virtual Police state since all forms of demonstrations against the deteriorating socio – economic conditions presently obtaining in the country are crushed through the thuggish and Stalinist use of force and repression. At a time when more than 90% of the population is living rough, President Robert Mugabe and a large entourage of his hangers – on have decided to embark on an expensive holiday in the Far East; which holiday jamboree is fully funded by the near bankrupt State. Whilst the majority of civil servants such as doctors, nurses and teachers have not been paid their deserved annual bonuses and salaries, Robert Mugabe is completely insensitive to the plight of these hardworking servants of the State. Instead of urgently returning home to address the emergency situation caused by the non – payment of civil servants’ salaries as well as the impending drought, Mugabe and his extended family are busy enjoying a very good time ; wining and dining in very expensive and upmarket hotels and restaurants in Singapore, Hong Kong and Dubai. As the largest and most popular political party in Zimbabwe, the MDC would like to call upon Robert Mugabe to cut short his undeserved State – funded holiday and to immediately come back so that he can personally take control of the collapsing national economy. The country is on virtual auto pilot as the nonagenarian President is living it up in the Far East. How insensitive and selfish can a President be? The MDC would also like to take this opportunity to call upon all Parliamentarians, across the political divide, to put their heads together when Parliament resumes sitting within the next few weeks. It is abundantly clear that President Robert Mugabe has abdicated his responsibilities as the Head of State and as such, Parliament should proceed to impeach him. The old man is now clearly out of his wits and he is no longer fit for purpose. He doesn’t deserve to continue exercising the duties and functions of our State President. We call upon Mugabe to call it a day and retreat to Gushungo Estates in Mazowe where he can spend time admiring his huge herd of dairy cows. Zimbabweans have suffered for too long under the Zanu PF dictatorship that is fronted by President Mugabe. The chains of servitude now have to be unlocked. 2016 should be the Year of The People’s Liberation. 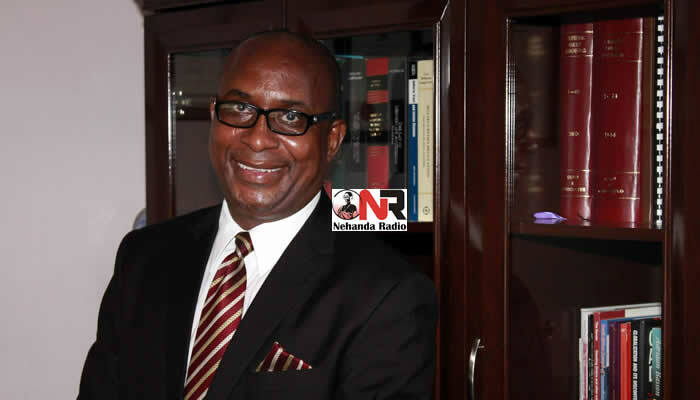 Obert Gutu is the national spokesman for the Movement for Democratic Change (MDC) led by Morgan Tsvangirai. He writes in his personal capacity. AU chairman: What are the benefits for Zimbabwe?